LED streetlights are the gateway drug to smart cities and smart city services. Chicago holds the dubious distinction of being the most light-polluted city in the U.S. But if a new pilot from the hometown utility is successful, that could change. Commonwealth Edison has kicked off a pilot project to install light-emitting diode streetlights in two Chicago suburbs, Bensenville and Lombard. The project is small -- only about 800 ComEd-owned fixtures will be swapped out -- but there is potential for far more. The increased controllability and functionality of the lights allow for better quality of life both beneath and above the light fixtures, along with serious energy savings. ComEd is leveraging its mesh network from Silver Spring, which its smart meters use to communicate. Utilities and cities are increasingly looking to get more bang for their buck out of smart grid networks -- and LED networks are one of the first choices. “The smart streetlight application is only one of many capabilities offered by our smart grid technology. 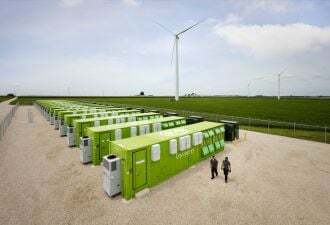 This technology has the ability to be paired with other applications that would help improve safety, security and quality of life for the communities we serve,” said Anne Pramaggiore, CEO of ComEd, in a statement. Chicago has about 300,000 streetlights, with approximately another 100,000 in the surrounding suburbs, according to Joseph Svachula, VP of engineering and smart grid technology at ComEd. The utility owns just under 200,000 of the streetlights. The two cities in the pilot will be able to remotely control and schedule the lights, as well as receive maintenance updates if the lights go out. During the pilot, they will test additional functionality, such as having a light pulse outside of a home that has made a call to 911 and is waiting for an ambulance. Svachula said that the Silver Spring mesh network was primarily for smart meters and distribution automation, but the utility started to look at additional uses when it realized how robust the system is. Streetlights are a clear choice, not just for the energy savings, but also because adding nodes on the network up in streetlights serves to further strengthen the network. Eventually, the network could be used for other smart-city services. For Silver Spring Networks, which suffered layoffs last fall due to the smart-meter slowdown, offering smart-city networks in the U.S. and Europe could be a key strategy to boost the bottom line. Silver Spring has already networked 75,000 streelights for Florida Power & Light, and will now network 500,000. The move to LEDs is becoming increasingly compelling for many cities. Even a few years ago, high-brightness white-light LEDs were becoming established within the outdoor lighting industry, according to a study on the LED market by GTM Research and Groom Energy. Major cities across the U.S., including Las Vegas, Seattle and Austin, are all investing in LEDs. U.S. streetlights cost $6 billion to $8 billion annually for energy and maintenance. That has made a lot of city planners take a look at LEDs. For the two towns in Illinois, the benefits go beyond easier maintenance and better visibility for residents. Most utilities, including ComEd, charge a calculated flat rate for streetlights, but the LEDs ComEd is installing have a digital node that tracks the light’s energy use. A more precise lighting bill could offer even more savings over just the initial savings of swapping out the bulbs, especially as the LEDs can be controlled with greater precision. ComEd does not anticipate that it will be a major undertaking to integrate the more detailed energy usage data into its billing system. Los Angeles completed one of the largest LED streetlight replacement programs in the country about three years ago, with a retrofit of more than 140,000 lights. The swap to LEDs helped LA cut its energy use by 63 percent, and areas with the lights have seen lower crime rates. The city found that it was not just about adding brighter lights where they’re needed, but also helping to reduce sky glow at night. 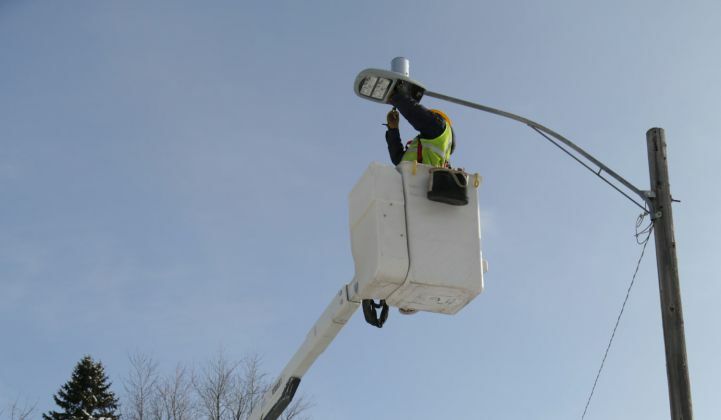 After the pilot, a plan will be developed for ComEd to offer a smart streetlight service to more municipalities as part of its energy efficiency portfolio. For starters, it would use energy efficiency funding to buy down the traditional lights as stranded assets. Then they can retire those and put in the new lights. For municipalities, the leasing fee for the lights would likely be lower, since LEDs have a longer lifespan, and the energy costs should plummet by about two-thirds. The LEDs are already being installed, and ComEd expects to release a request for proposal later this year. With regulatory approval, the utility could install another 30,000 streetlights over the next two years.